← Woodhouse Tunnel works: Two years of pain for long term gain? Leeds City Council is waiting to see the detail of a bill currently going through parliament before it makes any final decision on allowing its public meetings to be recorded or filmed. It’s also waiting to see what advice it gets back from the Department for Communities and Local Government (DCLG) in response to councillors’ concerns over the recording of meetings dealing with licensing and planning matters. 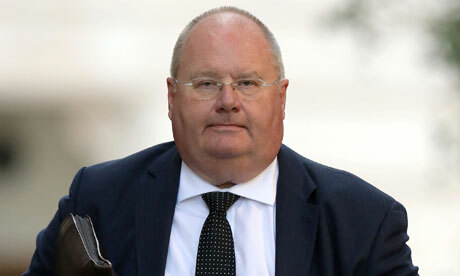 Secretary of state for communities and local government Eric Pickles said last week that he would be placing the rights of the public to “report, blog, tweet and film” into the Local Audit and Accountability Bill. The bill was due to get its second reading in the House of Commons today. Details of what Pickles is proposing weren’t available at the time of writing. Today’s decision in Leeds comes against the background of a local campaign calling on the council to open up. In a joint letter submitted ahead of today’s meeting journalism lecturers from Leeds’ three universities called on the council to allow anyone to record its public meetings, and made a special plea for allowing video recordings to be made. A draft council protocol on the issue made public last week said video recording wouldn’t be allowed because it would be “disruptive or distracting”. Today’s meeting had been expected to debate the specifics of the proposed filming ban, but in the end it didn’t. What councillors did talk about at length was the need for the council to “remain in control” of recordings, and for councillors to get “protection”. Hence the advice they’re going to be seeking from DCLG on recording licensing and planning meetings. They appear to be worried about two things: 1) being challenged legally for something said in the heat of the moment at one of these meetings; and 2) being misrepresented through manipulation of third party recordings. What they’re looking for is some kind of protection for councillors along the lines of the parliamentary privilege afforded to members of parliament. Once they’ve had a proper look at whatever Mr Pickles is putting into his bill and heard back from Mr Pickles’ department about their plea for protection, councillors will meet again to come to a longer-term decision on the issue. I can help them a bit on the first score. Below is Mr Pickles speaking about the bill in the House of Commons today (it’s been filmed!! and posted on the internet!! by the government!!). Click on the pic and go to 16:46:08, where he talks about the government’s proposal to introduce legislation to give people the right to film, blog or tweet at council meetings. * I’d have liked these to have been proper verbatim quotes, but, given the fact that I wasn’t allowed to record the meeting, they’re just an approximation based on untrained scribbling and a feeble memory. That’s the way they’d rather their meetings get reported. To protect them. You couldn’t make it up. This entry was posted in Uncategorized and tagged eric pickles, lees city council, recording. Bookmark the permalink. The simple answer to the “being misrepresented through manipulation of third party recordings” bogeyman is for the council to make and publish (preferably under an open licence, as I describe here) its own audio or video recordings. The “parliamentary style privilege” point is an interesting one, though. Agree with your point about them making their own recordings. The penny will drop. Eventually. But any council recording of audio/video that’s “for later consumption” doesn’t cut it for news reporting. We still need to be able to go in there and make our own recordings to use straight away. I’m confused about the privilege thing. Why weren’t they asking for protection on every occasion over the last 100 years when the local newspaper reporter took down what they were saying in shorthand? 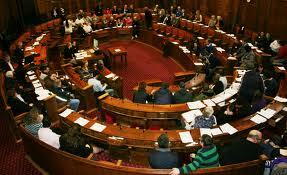 Several councils already live-stream meetings online, with archives also made available. Fair comment about shorthand, etc.